A month or so before the World Cup started we announced that every manager would be able to make unlimited transfers after the group stages. So, at just after 11am on Friday you will be able to buy and sell players without using up any transfer credits. The unlimited transfer period will end at precisely 4.50pm (British Summer time) on Saturday, 10 minutes before Brazil vs Chile kicks off. 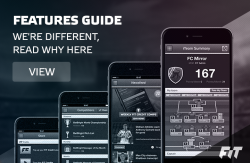 We will also switch off the PlayerDAQ for the duration of unlimited transfers, freezing player values. You can then buy and sell players at will, just as if we were in Pre-Tournament mode. At just after 4.50pm Sat, you will receive 3 free transfers and 1 optional – these are your Gameround 4 transfers. IMPORTANT: If you make transfers after 4.50pm on Saturday you will end up using some of your Gameround 4 transfer credits. If you’re unsure how close to the deadline you are, please use the in-app transfer clock, as will not be able to refund transfer credits if you make accidentally make iTeam changes after the 4.50pm deadline. 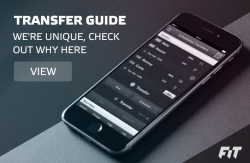 IMPORTANT: It can take up to 30 minutes for your transfers to refresh, so don’t panic if you can’t start making transfers at exactly 11am. In regards to H2H’s and max iTeams, below are the changes that we will make in GR4 and GR5. This is the transfer schedule for the rest of the tournament.